Monash University research examined the effect of recreational cannabis sales (RCS) on traffic fatalities in three US states where it was legalised—Colorado (legalised 2014), Washington (2014), and Oregon (2015), and nine neighbouring jurisdictions from 2009-2016. 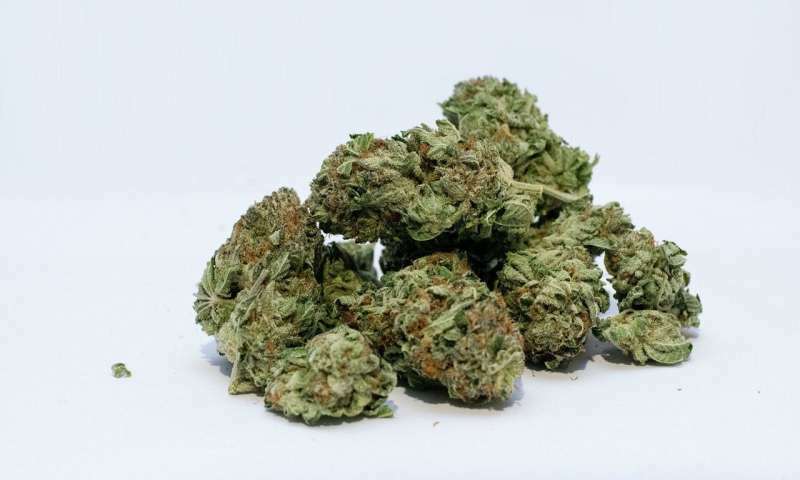 But the study reported the spill over effects to be slightly larger in neighbouring states and provinces, particularly those with population centres closest to the border of a legalising state—possibly because cannabis users were driving interstate to make purchases, before returning under the influence. It's called 'cannabis tourism', and Monash University's Dr. Tyler Lane says there are important implications for both legalising states and their neighbours as prohibitions against cannabis use are lifted globally. "The effect of cannabis legalisation on traffic fatalities is a growing public health concern," Dr. Lane said. How many people die due to overdose of painkillers????? How many of those accidents actually involved cannabis? It reads that there were simply more traffic deaths after legalising. There was also an increase of roughly 80,000 people in Colorado just last year. More population would also mean more accidents. This article is completely biased and lacking in scientific credibility. You should be ashamed of yourselves for publishing this. Bit hard to put in perspective without knowing what the non-cannibis related fatality rate is... Interesting that the spike fades in about a year? Why? Did people really believe Marijuana users WOULDN'T drive high? Everyone knew it. They just didn't care. They wanted the high life and the money and that's all that mattered. Anytime you make a mind altering drug more available people will abuse it more. It has consequences. Driving at night should be illegal because it causes accidents and deaths. anon: The problem is likely this article. Why do they constantly leave important information out?? A cursory search did not find the research this is based on. i think its deceptive to say marijuana caused these deaths when at the end of the day it was the individuals decision to get in their car and drive. i don't blame cell phones when someone gets in an accident from texting and driving instead i blame the person who should have known better. i myself am a medical patient and use marijuana 24/7 as a result i do not drive ever, its that simple using marijuana means you do not get to drive and anyone who decided to drive anyways has made a poor decision that is not the fault of marijuana but is instead the result of their own arrogance. Lol Okay there are severely inaccuracies, un-sourced information, and then the article casually mentions the combinatory factor of alcohol-related collisions, while also briefly dismisses those who use cannabis medicinally and attempts to say that cannabis is an 'alternative' to alcohol???? Suggesting that every medical patient (Cancer, MS, Alzheimers, PTSD, anxiety, etc) is using cannabis as a substitute for alcohol...? What? Not only does this article fail to quote people and research fully and accurately (or for gods sake even reference MULTIPLE sources to verify information), but it will not surprise you to know that this Monarsh University is not in or near Colorado or any states that have legalization, not even located in Canada, it is located in AUSTRALIA! Only the finest writing from our friends at MedicalXpress. I call fake news on this article. People have been smoking weed and driving for decades, they didn't just now start driving and smoking weed because it was just now legalized. This is another apparent lie spewed out by anti-marijana, Reefer Madness cry babies while they enjoy alcoholic beverages. There is actually nothing mentioned of the correlation between the deaths and them being the smokers. This article truly lacks empirical evidence on whether these deaths are because of smoking or other factors. Huge fallacy in this one. This article is manipulating the data. For starters it fails to mention that it only increases the 1st 6 months, but has since declined to record lows. Next, it doesn't directly link those fatalities to cannabis, it doesn't report the cause. It doesn't even acknowledge that the populations in those areas increased, ie people new to the area don't know the area and more likely to be involved in a fatal collision. It is truely important that data not be manipulated to prove a theory. If the entire data as a whole doesn't support your theory, you still have an unproven theory! The decline in traffic deaths a year after legalization could be based upon users figuring out dosages from the higher THC strains and timing from edibles. Just as everyone needs to know how alcohol effects them, so to with marijuana. The study makes no sense: That cannabis has been legalised does not imply that people are using it more. So, while there may be a correlation there just can't be causation because in this case the cause would be the legal act of legalising cannabis not it's use as there is just no data about the latter.